Hot summer days are the perfect time to entertain family and friends. We’re lucky to live in such a beautiful area where we can host parties in the comfort of our own space. 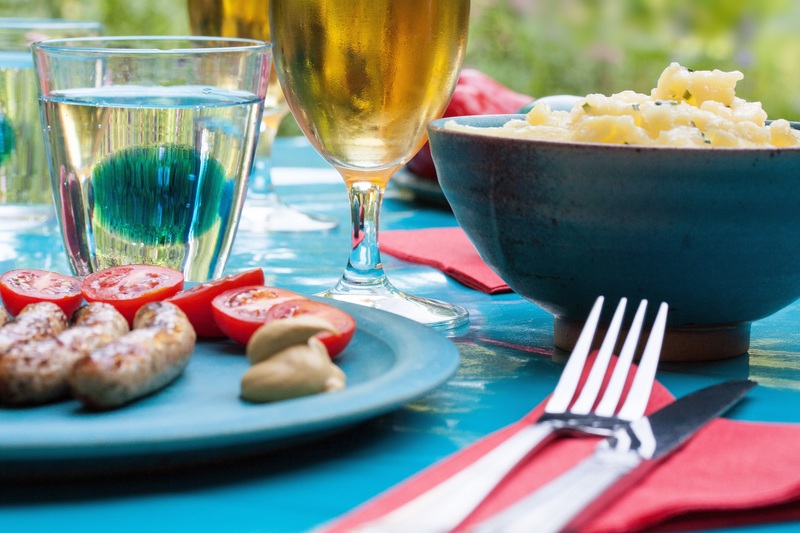 Whether you want to have your kids and their friends over after a long day at the pool, or host an adults-only backyard barbecue, our summer entertaining guide will point you in the right direction. Although sometimes the best gatherings are more spontaneous, there are certain things to do to ensure it’s a smooth ride. Citronella candles: mosquito’s and flies, especially in the humid Richmond climate, can be fun-spoilers. Make sure to have some citronella candles or torches on-hand, and even bug spray. The best part about citronella candles is that they can double as decorations! Make sure all pet arrangements are squared away ahead of time. Some pets are more sociable than others, but no one wants to stress out their pup or have an indoor cat sneak outside when people are going in and out. Floor mats! Your family may know to take their shoes off at the door, but your guests might not. Make sure you have a sturdy outdoor mat so dirt isn’t tracked on to your indoor rugs, and you can save on cleanup time. Worried your kids might accidentally get into the punch bowl? Call one of the neighborhood babysitters to see if they can entertain the kids while you entertain your guests. Be considerate. If you’re planning on having guests over into the wee hours of the night, make sure to give your neighbors a heads up. If they’re already invited, party on! Just don’t set the yard on fire with those citronella torches we suggested. Picking a party theme is a great way to get some ideas in terms of food, drinks, and decorations. There are so many different options that would make for fun and sophisticated gatherings, but here are a few of our favorites. A tropical tiki party doesn’t have to be for kids. Grill up spicy chicken, shrimp and steak kabobs with pineapple and other veggies. Small plates with a tropical twist are a nice touch if you plan on serving appetizers. Consider some Hawaiian slaw or crab rangoons! Rum-filled drinks with umbrellas are a must for any tiki party, here’s a list of some great cocktails: epicurious.com/tiki-drinks. Read this article for great tiki party recipes and how to prepare: saveur.com/dinner-party-tiki-night. Summer parties don’t always have to be in the evening. Before it gets too hot, host a small gathering with champagne cocktails and seasonal berry tarts. Quiches are great for a gathering and are super easy to make. Read this for an excellent quiche recipe: epicurious.com/elegant-brunch-menu. Host your party indoors with the windows open, or on the deck/patio. Use pastel table linens for a light and airy summer feel.